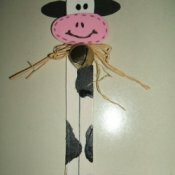 Help kids prepare for the new school year by making this quick and easy cow bookmark! Paint craft stick white and set aside to dry. 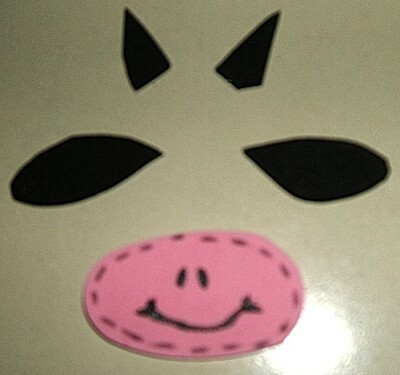 While waiting for it to dry, draw and cut out ears and horns from black craft foam and oval shaped muzzle from pink craft foam. Draw nose and dashes on muzzle as pictured. 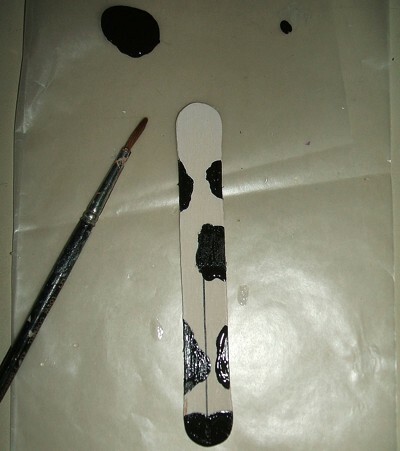 Paint black spots randomly on cow's body and draw a fine black line on craft stick for legs. Dip handle end of paint brush into black paint and dot the eyes and paint a bit of hair at top of head (refer to photo). Allow paint to dry before gluing on ears, horns, and muzzle. String bell onto raffia and tie around craft stick below muzzle. Glue into place.